My husband has always been a terrible sleeper. He's tried everything under the sun, and historically nothing has helped much. I recently heard about the benefits of using a weighted blanket at night, and so I bit the bullet and got him one for Christmas. I wasn't sure what to expect, and didn’t know if it would help him at all, but I thought it was worth a shot. After using it for two months now, HIS LIFE IS LITERALLY CHANGED. I kid you not. He has never slept better. I swear this thing is magical. 1. It helps your body calm down and relax at bedtime. Do you have a hard time unwinding when it comes time to go to bed? Feel like you’ve been going a million miles an hour and you just can’t turn your brain off? Weighted blankets have been known to reduce nervous system activity, which creates a calming, relaxing effect in the body and mind. The results are pretty immediate. 2. It greatly improves the quality of your sleep! 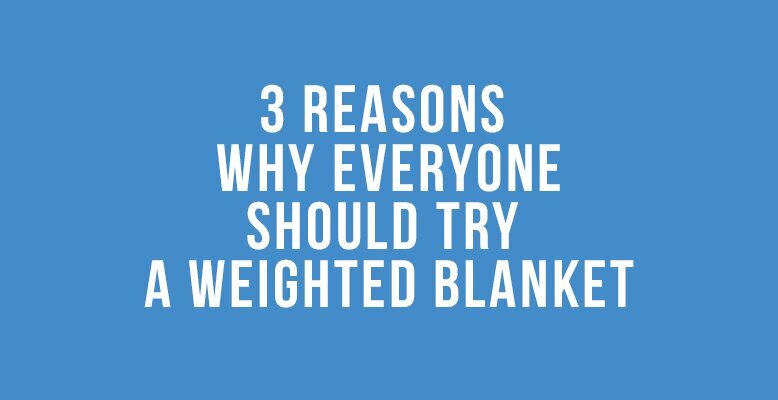 Weighted blankets help our brains produce serotonin, which then helps your body produce melatonin… which helps you fall asleep. 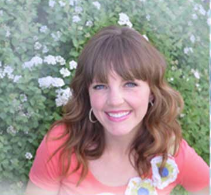 I’m not sure about the science behind how they help you STAY asleep… but I’m here to tell you that they do! My husband used to wake up 9-10 times per night (on average every hour at least). This is how he’s slept since he was a kid. He’s been tracking his sleep with his smart watch since using his weighted blanket, and he is literally sleeping through the night. It’s nothing short of a miracle for him. 3. It helps with anxiety and other disorders, reduces stress, and boosts your mood! 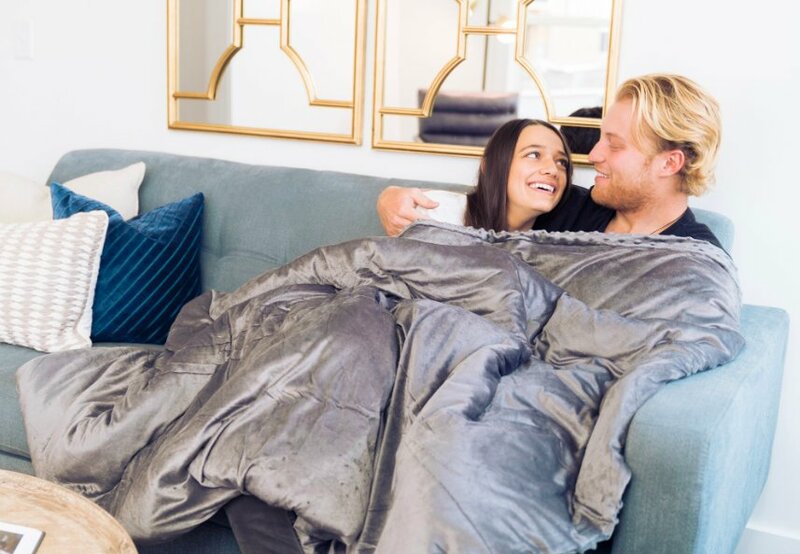 A weighted blanket provides deep touch pressure stimulation, which in turn helps to build up the body’s levels of serotonin. This increase in serotonin in the brain can reduce anxiety and help people cope and deal with OCD, post traumatic stress disorder, and bipolar disorder. It also helps reduce stress levels, and improve your mood! Bonus: It feels like a warm, firm hug. Who doesn’t like that? They typically suggest using one that is around 10-15% of your body weight. Check with your doctor before using if you are elderly, or have other concerns. Great news! RC Willey is now carrying weighted blankets. Check it out!